Venezuela’s newley appointed vice-president, Tareck El Aissai, has been added to the US narcotics “kingpin” sanctions list after being accused of involvement in international drug trafficking. Sanctions were also slapped on wealthy businessman Samark Lopez, described as Tareck El Aissami’s “primary frontman”. Tareck El Aissami was appointed last month by President Nicolas Maduro. There was no immediate response from the vice-president or Samark Lopez, but Tareck El Aissami has previously denied criminal ties. The sanctions freeze Tareck El Aissami’s assets in the US and bar him from entering the country. The US Treasury statement says Tareck El Aissami facilitated huge shipments of narcotics from Venezuela by air and sea. It also says he was in the pay of convicted Venezuelan drug lord Walid Makled for the protection of drug shipments. John E. Smith, acting director of the US Treasury’s Office of Foreign Assets Control, said the sanctions were “the culmination of a multi-year investigation under the Kingpin Act to target significant narcotics traffickers in Venezuela and demonstrates that power and influence do not protect those who engage in these illicit activities. 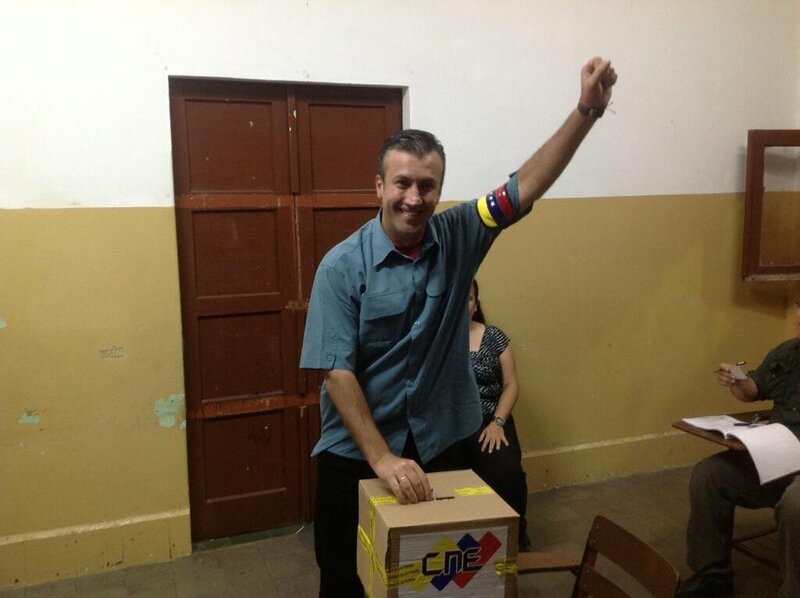 Tareck El Aissami was previously the governor of Aragua state and served as minister of the interior and justice in Venezuela from 2008 to 2012. US media, citing leaked intelligence documents, say Tareck El Aissami has also been under investigation in the US for suspected ties to the militant group Hezbollah. During his time as interior minister, fraudulent Venezuelan passports ended up in the hands of members of the Lebanese group, it is claimed. Earlier this month, 34 members of the US Congress sent a letter to President Donald Trump asking for sanctions against Venezuelan officials. They said that Tareck El Aissami’s appointment as vice-president put him in line to become Venezuela’s next leader which, they said, was “troubling given his alleged ties to drug trafficking and terrorist organizations”.